Green Lightning is a bright, colorful and happy resource pack for Minecraft! Please look at some screenshots below or scroll down to the download section if you want to see it live in action. Put the zip file in your resource pack folder (open Minecraft, select “Options”, click on “Resource Packs” and on “Open resource pack folder”) and then select it in the “Resource Packs” menu. 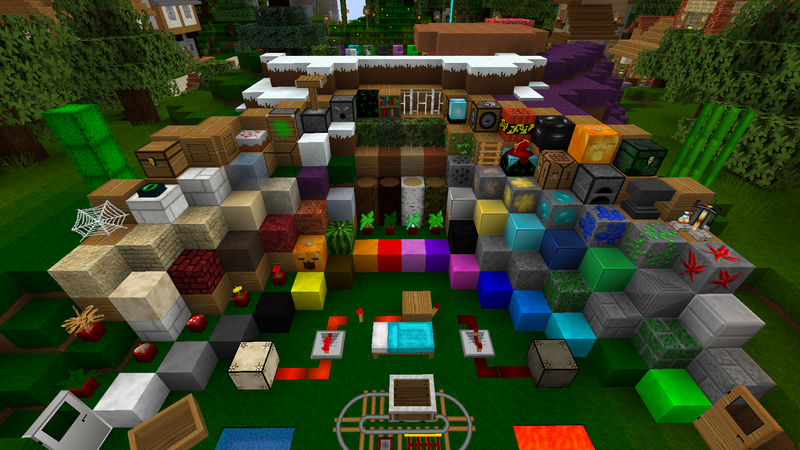 You can use these textures in your own resource pack if you credit me and all persons mentioned in the credits section. You must not use them for commercial purposes. You must not upload this resource pack in a whole to websites, forums or any other data sharing site. Link to the topic instead. You use these textures at your own risk: I’m not responsible for any damage on your computer or anything else. If you use my resource pack in youtube videos please link to this thread in the description of each video. I did most of the textures myself. Some of the textures were taken from Meine Kraft by Honeyball.